You would think that picking out a can of paint would be simple. With so many brands of paint on the market, it can be difficult to tell which the best option for your projects is. Just take a look at any home improvement store and you will quickly become overwhelmed at all the choices. If you are in need of the best interior paint brand, I’ve put together a list of all the top choices available now. Whether you are working on your ceilings, walls, bedrooms or living room, there is a product that is sure to meet your needs. Follow this simple comparison table and review guide further down the page and you will be back to painting in no time. What Makes For A Good Interior Paint? Do Different Rooms Need Different Paint? When searching for the best indoor paint, you could opt to use flat paints or glossy paints. It will depend solely on your preferences, the look you are attempting to achieve and the room you are going to paint. A flat paint on a textured wall is going to absorb light. This enables the colors to appear darker. It will also hide any imperfections well. Keep in mind that these are less stain-resistant and should be used mainly in a low-traffic area. When using a glossy paint on a smooth surface, you will reflect light. This enables the colors to appear brighter. You could use the eggshell or satin paint on a smooth and well-prepared surface. This shine will accent the imperfections so you’ll want to be aware of that before painting. Many people use these in family rooms or children’s bedrooms because they are tough and durable. A semi-gloss paint is shinier than the satin and will stand tough against stains. They are easy to clean but can become dull when scrubbed. Many people will use these on the kitchen and bathroom walls. Keep in mind that you will want a smooth and well-prepared surface that has little or no imperfections before painting. There are a lot of well-known paint brands on the market, but what makes one the best paint for interior walls? ere’s a listing of some the top brands to look for, all of which will produce high-quality products. There are also less-known companies that will still provide a great product, sometimes at a better price. This company is part of the Berkshire Hathaway portfolio owned by Warren E. Buffet. There are 4,000 independent dealers that currently carry the brand as well as 1,200 Benjamin Moore stores in the country. This popular brand is available through most home improvement channels and hardware stores. This paint company is part of PPG’s brands. They offer paints for the ceilings, bath, and kitchen as well as primers. One of the most recognized names in the painting industry, they are the largest producer in the U.S. They also include the brands Pratt & Lambert as well as Thompson Miniwax. They also sell primers, wood stains, wallpapers and faux finishes. Some of the painting tools you use might even be the Sherwin Williams brand. They also sell primers, wood stains, wallpapers and faux finishes. Some of the painting tools you use might even be the Sherwin Williams brand. This is a leading brand of interior paint offering some signature colors. Just as you use each room for a different purpose, you’ll find that different varieties of paint are going to work better in each room. If you are painting trim, you’ll most likely use a gloss paint. It is capable of taking a beating and is perfect for cleaning. The oil-based gloss paints can stand up to more scrubbing than a water-based latex paint. When you need the best paint for bathroom ceilings and walls, you’ll want to look toward a semi-gloss. This traditional sheen is best for wet and moist areas. The shiny surface will be easy to clean and you can add mildewcide for extra protection. The best paint for bedrooms is a satin or matte finish. The low gloss will give off a warm glow and it will not form shiny spots when rubbed or scuffed. The best paint for ceilings is flat varieties. It will hide imperfections and has an even tone. Most ceilings aren’t prone to stains so it doesn’t matter that it can be hard to clean. In fact, many varieties of the best ceiling paint will be extra flat to prevent from any distracting shiny spots. It is very common for homeowners to paint their own living room or bedroom walls. It saves time and money over hiring a professional, plus you’ll have complete control over the outcome. Once you pick the best paint for the living room or just the best paint for walls, you’ll want to follow these simple steps. Prep your room properly. Make sure you cover everything you don’t want to be painted or remove it from the room. Load your roller with paint. Or alternatively, use a paint sprayer. You can dampen the roller first with a wet rag. Then dip it in just a little and roll it out on a liner or grid to even the materials out. Do NOT submerge your roller in the paint. Roll paint in a zig-zag pattern. Overlap your lines and work in 4-foot sections for best results. Always start at the top and work your way to the bottom last. To fix build up and runs, simply roll over your painted area gently from ceiling to floor. Do not apply a lot of pressure. Paint just one wall at a time and use two coats for best results. Painting a ceiling is an entirely different project. Many people will offer advice on the best way to paint a ceiling, but here are some simple tips to guide you. Again, start by removing as much of the furniture as you can. Use drop cloths to cover anything that is left in the room. Use painter’s tape where the ceiling meets the wall. Apply a coat of primer. This helps provide a stain barrier and makes it possible to apply just one coat. Paint your cut line around the edge of the ceiling. Use a trim brush for best results. Use a roller and extension pole to create a zig-zag pattern on the ceiling. Then, go over the same area with straight lines. The key is to never fully submerge your roller in the paint, but dip it in and then roll it out on a liner or grid for an even paint coverage. When looking for the best wall paint, you are going to be faced with many options. Here’s a listing of some of the best-selling interior paints and a brief description of why they might be right for you. This unique paint can actually be used indoors or outdoors. You’ll find it to be a great option when painting walls made of wood paneling or old plaster. Aside from painting rooms, you can also use this formulation for metal, masonry or unglazed ceramic projects. Consider saving some of this to use on other projects. The water-based acrylic formula offers a low-odor and will resist chips for long-lasting protection. It can cover up to 30-square feet and dries to the touch within 30 minutes. The flat finish will minimize your surface imperfections. It also applies smoothly and easily. You will find that this unique paint can provide more durability than your typical household paint. When you are looking for the best paint for walls that will give a unique look, this is your answer. For a chalky smooth finish on your wood walls, use this interior paint. It creates a distressed and vintage appeal to any area. Then, use the leftover paint to tackle furniture projects or most anything made of wood, metal, canvas or ceramic. The low-odor, latex formula will allow for simple clean up that requires just soap and water. It will dry to the touch in as little as 30 minutes. It also covers up to 150-square feet. The nice thing about this paint is that you can cover a wall with just one coat as opposed to using two. This formula provides excellent adhesion and easy application. There is also very little prep work that will need to be done. When the paint dries, you’ll be left with a unique, ultra-matte, velvety, smooth finish that everyone will comment on. This unique paint for ceilings offers color-changing abilities which offer superior coverage to water stains. It is also used to brighten up those drab and dingy ceilings. This paint gives the room an entirely new and vibrant look. The dry time indicator makes the application even easier than before. The paint will roll on with a subtle pink hue and it will dry to the touch in less than one hour. You can apply a recoat in two hours. The spatter resistant formula will roll on easily and it offers a low-odor formulation. You can use this in any room that needs an updated ceiling paint job. Simply use a nylon/polyester brush for application. 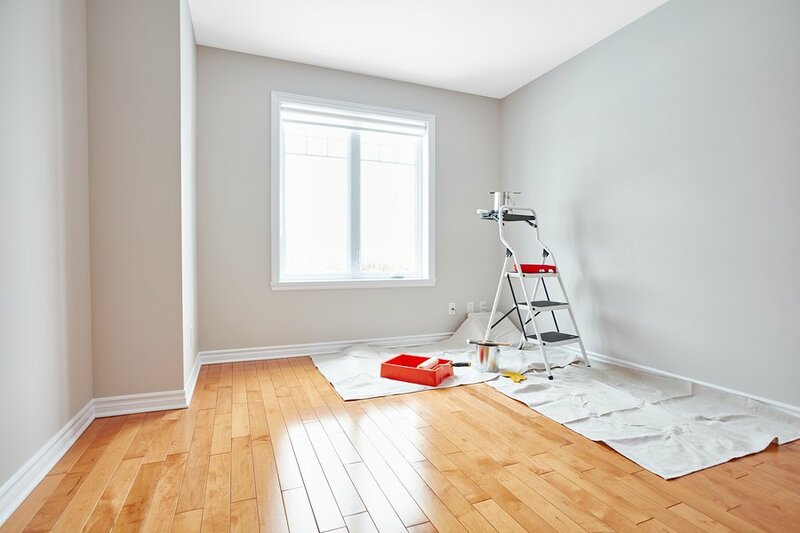 If you have severe staining, add the odorless primer they offer before painting for best results. This fabulous alternative to Sherwin-Williams offers an acrylic latex interior paint that self-primes. It is ideal for living rooms, bedrooms, dining rooms, hallways and family rooms. The flat finish will give your formal rooms a smooth and uniformed look. It will also help to hide surface imperfections such as nail holes, patches, and dents. People find this paint to be helpful when painting ceilings as well. For an easy cleanup, you can simply use soap and water. One of the things that set this paint apart from many others is the low occurrence of VOCs. Volatile Organic Compounds are large groups of chemicals that are found in many products we use to maintain our homes. They will release gases into the air we breathe and have the potential to be dangerous. This brand has a very low occurrence of these compounds when compared with many other paints. This well-known brand offers a semi-gloss paint perfect for your bathroom ceilings and walls. It will provide a shinier finish than the satin varieties and is tough with stains. You can easily clean it when dirt ends up on it. This formula also offers low VOC and low odor so you don’t need to stay away after painting. There is a mildew resistant coating in the formula which is another reason it is ideal for bathrooms or other high moisture areas like a laundry room. This paint offers both the paint and primer in one, so application is quick and easy. With Color Lock Technology, the colors will not rub-off when cleaning. You can clean stains off easily and even do some quick touch-ups as needed. This formula from yet another well-known company offers a heavy-duty, chip resistant finish that works ideally in high-traffic areas. This company also believes in providing low VOCs which means you get back to doing what you need to quickly. Use this on interior walls and trim and easily apply it with a brush, roller or sprayer. The latex base hides imperfections well and the semigloss sheen will offer a beautiful finish. It is available in a variety of shades to match any color scheme. It also cleans up easily with soap and water when stains or dirt become present. The durable finish will resist the growth of mildew making this a great option for your bathroom or other high moisture areas. This tough and scratch-resistant formula is a latex enamel that is good indoors or on the exterior of your home. It is good for more than just walls, although it will offer a beautiful finish to your wood-paneled walls. You can also use it on furniture, primed metal, most any wood, trim, craft items and your DIY projects. When you need to clean up, just use some soap and water. You receive exceptional wear resistance from this great brand. Valspar is also known for their wide variety of colors and shades to choose from. The paint is non-toxic once it has dried and you will find that it dries to the touch in as little as an hour. It is also great for areas with children because you can scrub stains and dirt off of it without ruining the finished look. 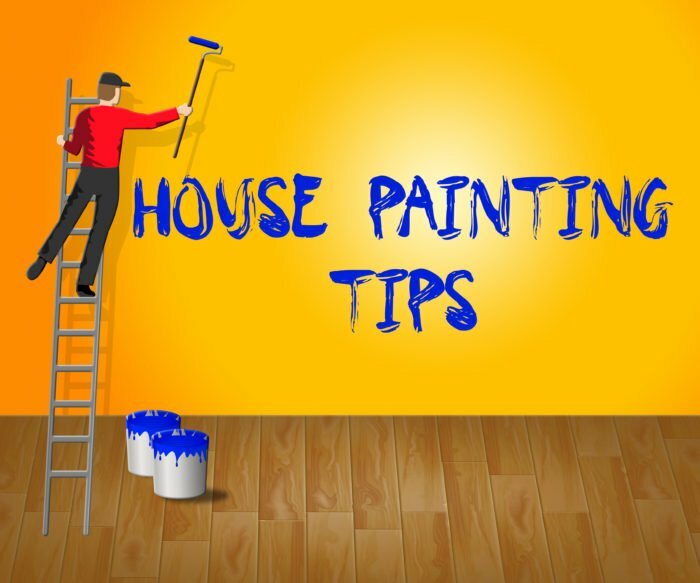 You can choose different paint sizes as well ranging from 0.5-pint, 1-quart and 1-gallon depending on how much you’ll need to complete the project. After reading through this comprehensive guide, you should feel equipped to get your painting projects done. Pick the best paint based on the room you are working in and the look you are hoping for. Then, prepare your area properly and get painting!